Sunnie Leigh Ball, precious baby girl of Tanner and Lana Ball was born in the arms of angels, February 12, 2019 at Baptist Medical Center in Little Rock, Arkansas. Born at 36 weeks, she weighed 4 pounds and 10 ounces and was 18 inches long. Although Sunni never spent any time with us on earth, she was loved and touched many lives. In addition to her parents, she was survived by maternal grandparents, Roger and Brenda McCallie of Carlisle; paternal grandparents, Terry and Michelle Ball of Beebe; great-grandparents, Billy and Carolyn McCallie and Elbert and Nell Schafer all of Carlisle, Lawrence and Shirley Ball and Charles an d Mary Drum all of Wynne, Arkansas; aunts, Lacey (Dawson) Cain of Benbrook, Texas and Jessica McCallie of Fayetteville; cousins, Bennett and Jude Cain of Benbrook, Texas. Tanner and Lana would like to personally thank our nurse, Hunter Bise and Dr. Clint Hutchinson for their love and compassion and support during this very tough time. We will forever be grateful. 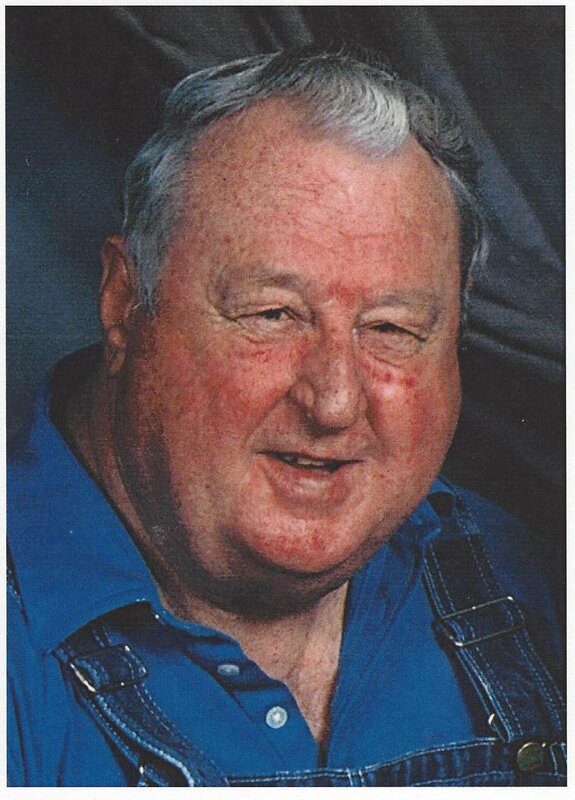 George Kelly Scott, Sr., age 81, of Branson, Missouri passed away January 21, 2019. He was born in De Valls Bluff, Arkansas to George and Ollie (Taylor) Scott on February 2, 1937. Kelly grew up in Hazen and graduated from Hazen High School in 1955 and joined the United States Air Force in 1956 as a Radio Operator in the Code Division. After proudly serving in Japan and Germany, he received the Armed Forces Longevity Service Award. In 1961, he met and married Lois Maxine McElroy and settled in North Little rock where they raised their three children, Shannon, Kelly, Jr.(Bruz), and Danny. Soon after he married, Kelly went5 to work for the Union Pacific Railroad as a brakeman and switchman. He worked for the railroad in Arkansas and Oregon until his retirement. Throughout his life, Kelly served in various leadership roles, including leading Boy Scouts, coaching youth baseball, women’s basketball and women’s church softball. He attended Boyce Bible College and was licensed as a Southern Baptist Minister. 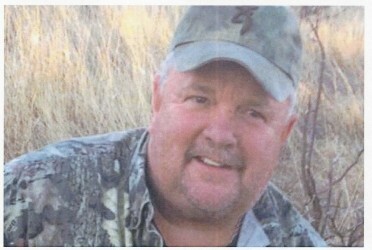 He loved the great outdoors and was an avid fisherman and bird hunter. He had several bird dogs during his life-time, but his favorite was his dog named “Shorty”. Kelly was preceded in death by his parents; his wife of 56 years, Maxine (McElroy) Scott and three sisters; Dorothy Delores Luebke, Patricia Imogene Scott Tyson and Billie Jo Scott. Kelly is survived by his daughter, Shannon (Matthew) Karpoff of Roland, Arkansas; son, George Kelly Scott, Jr. of Hollister, Missouri; son, Daniel Nathan (Jackie Martin) Scott of Branson, Missouri; grandchildren, Danielle Scott McElroy, Matthew Karpoff, Alex Karpoff, Michael Smith, Kawlija Scott, Jacoah Scott, and Nakira Scott; great-grandchildren; Marshall Lee Scott, Mason McElroy, Sammara Smith, and Keegan Burns Karpoff; sister, Joy (Howard) Strohl of De Valls Bluff; brother, John Thomas Scott of Little Rock and brother, Kenneth Ray (Billie) Scott of Little Rock and a host of nieces and nephews. Visitation will be at 1:00 P.M. with a memorial service at 2:00 p.m., Saturday, February 16, 2019 at Westbrook Funeral Home Chapel in Hazen. In lieu of flowers, memorial contributions in Kelly’s name may be made to the Harrison Seventh Day Adventist Church or to a Veteran’s organization of your choice. 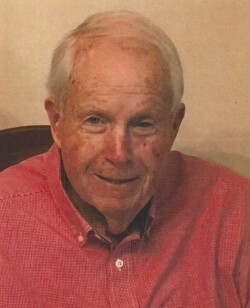 Larry James Grady passed away on January 23, 2019, surrounded by his family. Larry was born at home in Hazen, Arkansas in 1941 to Lela Mae Livesay Grady and Socratus “Crate” Grady. 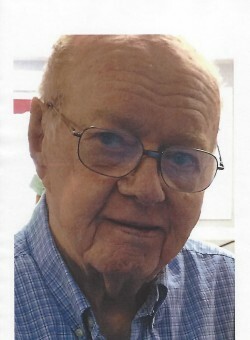 He was the second of three children, brother to beloved siblings, Marilyn Sims of Hazen and Mike Grady. Larry was married to Sue Williamson Grady of Hazen for the last 20 years. He was the beloved father of Jason Grady of Lonoke, Jody Grady of Virginia Beach, Virginia, Julie Serna of Jacksonville, Florida, and Kim Smith of Jonesboro. Larry was the adored father-in-law of Renee Grady of Lonoke, Kerri Grady of Virginia Beach, Virginia, and Joe Serna of Jacksonville, Florida. He was a devoted grandfather to his grandchildren, Tyler Grady, Jenna Grady, Rowan Grady, Aiden Grady, Gavin Serna, Brady Smith, and Wes Smith. Larry was a lifelong member of the Hazen First United Methodist Church and served with the Arkansas National Guard from 1962 to 1967. Larry spent a lifetime running Grady’s Grocery Store and Gas Station in Hazen. After 36 years of running the store, Larry retired from being self-employed and worked as a butcher for both Mayflower in Carlisle and City Market in Hazen. When he was not in the store, Larry enjoyed fishing, going to the White River on his party barge and his fishing boat. He loved hunting and camping. He especially loved sitting around a campfire at deer camp with his brother, Mike and his brother-in-law, Buddy Sims, telling great stories to his children and grandchildren. Larry’s greatest love was playing guitar and writing songs about his family. His songs could evoke both light-hearted laughter and sentimental tears. Many people were moved by his songs. He passed his love of music onto his children. In his prime, he was an impressive dancer, even winning a televised dance contest on Steve Steven’s Dance Party. Larry had a big, kind heart, a tremendous sense of humor and a simple, no-nonsense approach to life. He will be sorely missed by family and friends alike. Visitation will be held at 10:00 a.m. on Saturday, January 26, 2019 at the Hazen First United Methodist Church, 211 North Hazen Avenue, Hazen, Arkansas prior to the memorial service in the church at 11:00 a.m. In lieu of flowers, memorials can be made to the Hazen United Methodist Church, P.O. Box 712, Hazen, Ar. 72064. Maggie Faye Phillips, 88, beloved wife, mother, grandmother, great-grandmother, great great-grandmother, sister, and mom to many, of Carlisle, went home to the Lord of January 16, 2019. She was born on November 10, 1930 to Willie and Bessie Brown Phillips. She was preceded in death by her parents, her husband, Otis Phillips, sons, Orvel, J.D. and Willie Phillips, daughter-in-law, Barbara, her sister, Iona Matthews and her brother, Joseph Phillips. Maggie is survived by her sons, Vernon Phillips, Kenneth Phillips and wife, Debra, and Randy Phillips and wife, Laurie, and her daughter, Etta Glasco and husband, Billy; grandsons, Richard Berry, Brian Phillips, John Phillips and wife, Michelle, Randolph Phillips and wife, Heather; granddaughters, Shelia Cook, Janice Thompson and husband, Tim, Samantha Marcial, Lorinda Phillips, Andrea Huffmaster and husband, Blake, Deniece Priest and husband, Matt and Brandi Duncan and husband, Mark. 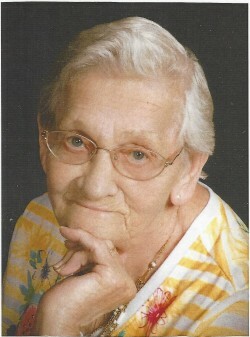 She has 28 great-grandchildren and 11 great-great grandchildren. Funeral services will be 2:00 P.M., Monday, January 21, 2019 at Immanuel Baptist Church in Carlisle. Visitation will be from 1:00 to 2:00 at the church prior to the service. Interment will be in the Center Point Cemetery. 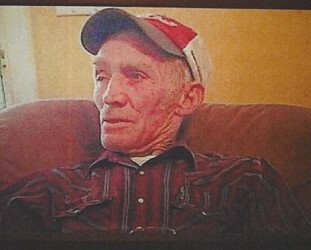 Freddie Gene Smith, 90, of Biscoe, went to be with his Lord Jesus Christ on January 14, 2019. He was born to John William and Ollie Smith in the Crossroads community on August 18, 1928. Freddie graduated from DeValls Bluff High School in 1949 and in 1950 he joined the U.S. Army where he served in the Korean War. He was honorably discharged in 1956. He married his wife of 64 years, Dolores Dollar Smith in 1954. He fathered and raised four sons, Kent, David, Greg, and Bruce all of Biscoe. Freddie was a successful salesman and service man for Electrolux for over 50 years. Many people in surrounding communities knew Freddie as the Electrolux vacuum cleaner man. He used every opportunity in his sales job to share Christ and minister to anyone that crossed his path. He was a deacon and Sunday School superintendent at the Biscoe Assembly of God Church for well over 30 years and a member for many more years. He was a dedicated family man . He loved his family deeply. He loved watching his grand-kids play ball almost as much as he loved to publicly critique whatever referee or umpire that was unfortunate enough to make a bad call. Freddie served on the DeValls Bluff school board for decades. He loved to garden and share the produce with his family and community. Most of all, he loved his Lord and Savior Jesus Christ. He was preceded in death by his parents, his brothers, Kerwin, Willard, and Johnny Ray, daughter-in-law, Karen Smith and great-granddaughter, Elly Jane Smith. He is survived by his wife Dolores, his children, Kent, David and wife, Carla, Greg and Bruce Smith along with 10 grandchildren and a host of great-grandchildren. Funeral services will be 2:00 P.M., Friday, January 18, 2019 at the Biscoe Assembly of God Church in Biscoe. Visitation will be from 5:00 to 8:00 Thursday January 17, at the Biscoe Assembly of God Church. Burial will be in the Biscoe Cemetery. Carla Jo Webb, 51, of De Valls Bluff, passed away January 9, 2019. Carla was raised in De Valls Bluff where she attended the De Valls Bluff High School and was a member of the Missionary Baptist Church. Carla formed friendships that would last her lifetime, most notably, her best friend of forty years, Margaret Hartley of De Valls Bluff. 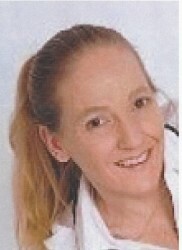 In adulthood, Carla moved to Henderson, Nevada. She worked as an artist with Ron Lee’s World of Clowns, a premier art studio. She attended Calvary Chapel Church in Henderson and later, became a member of management at one of the Henderson, Nevada Wal-Mart Supercenters. Carla loved being an artist, enjoyed traveling and found great joy in discussing the word of God. Carla returned to De Valls Bluff after being diagnosed and starting her 8-year fight with cancer. Carla was preceded in death by her paternal grandparents, David and Emmaline Minton of Des Arc, Arkansas and her maternal Grandparents, Carl and Maxine Reitenger of the Red Hill Farm in De Valls Bluff. Carla is survived by her mother, Sandra (Jerry “Daddy”) Hill of the Red Hill Farm in De Valls Bluff, her father, Joe Kenneth (Diane “No.2”) Minton of Des Arc; three brothers, Roger (Bridgett) Minton of Independence, Mississippi and Ronnie (Angie) Cote of De Valls Bluff, and Joe Kenneth Minton (Jessica) of Mayflower; two sisters, Jennifer (Ronnie) Carr of Humphrey, Jill Minton Vinson (Daniel) of Daphne, Alabama; two daughters, Kaci Jo Webb of Dewitt and Bobbie Jo Webb of Southern Pines, North Carolina and five grandchildren, Jesse, Jacob, Sean, Kaylee, and Charlie Ray. Her children and grandchildren were her greatest love. Carla has a host of nieces, nephews, cousins, aunts, and uncles all of whom she loved dearly. In lieu of flowers, the family requests donations be made to the University of Arkansas Medical center, Winthrop P. Rockefeller Cancer Center in Little Rock, Arkansas. It is the family’s prayer that donations and continued research can one day eliminate cancer of all types. Visitation will be from 5:00 to 7:00 P.M., Saturday, January 12, 2019 at Westbrook Funeral Home Chapel in Hazen, Arkansas with a short service at 5:30 P.M. in the Chapel. Freddy J. Hansell, age 77 of Hazen, passed away January 9, 2019. He was a devout Christian of a non-denominational faith and a farmer. Freddy is survived by his wife, Sarah Hansell; two sons, Keith Hansell (Freda) and Jay Hansell both of Hazen; six daughters, Tanya Scrimsher (Calvin) of Hazen, Donna Landrum (Sam) of Vilonia, Kay Pieroni of Maumelle, Dekenia Garrison (Denny) of Stuttgart, Cherish Cook of Lamar and Linda Jordon (Jeff) of Des Arc; 16 grandchildren, 14 great-grandchildren, three sisters, one brother, and a host of nephews and nieces. Visitation will be from 6:00 to 8:00 P.M., Friday, January 11, 2019 at Westbrook Funeral Home of Hazen. Funeral services will be 11:00 A.M., Saturday, January 12, 2019 at Westbrook Funeral Home Chapel in Hazen. 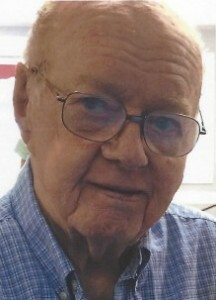 Woodrow Wilson Tipton, 94, of Hazen, was born May 9, 1924 to John Adolphus and Burlie Lee Tipton and he passed from this life January 3, 2019 to be with his Lord and Savior, Jesus Christ. Woodrow was the baby of 17 children. Woodrow married Velta Bridges in 1943 and they were the parents of two daughters, Trudean and Huberta. Trudean was nearly 14 months old before he saw her for the first time because he was in active duty with the Navy during World War II. Woodrow later married Maxine Baxter and they were the parents of five children; Woodrow lost the love of his life, Maxine after 43 years of marriage. Woodrow served as Prairie County Justice of the Peace on the Quorum Court for 44 years. Woodrow was a faithful member of the White River Lodge #37 for 53 years where he was a Master Mason and a faithful member of the Pleasant Ridge Missionary Baptist church where he served as Sunday School Superintendent, teacher and guitar player. Woodrow was preceded in death by his parents; 16 siblings; 2 wives; 1 grandchild; 2 son-in-laws; and many other family members. He is survived by 7 children, Trudean Tedford, Huberta D”Auteiul, Dennis Tiipton and wife, Diane, Vickie Van Kleef and husband, Bill; Ronda Mashburn and husband, Ricky, Elizabeth (Libby) Teague and husband, Robert; Jimmy Tipton and wife, Christy; 17 grandchildren, ( Anthony, deceased) Lisa, Crystal, Todd, Tracy, Jeramie, Carmen, Blake, Cara, Callista , Bryce, Heather, Heidi; Cheri, Sydney, Myles and Madeleine; 25 great grandchildren and 9 great-great grandchildren. Visitation will be from 5:00 to 7:00 P.M., Friday, January 4, 2019 at the Pleasant Ridge Baptist Church. Funeral services will be Saturday, January 5, 2019 at 3:00 P.M. at Pleasant Ridge Missionary Baptist Church. Burial with military honors will be in the Walter’s Chapel Cemetery. Danny Haynes, 55 of Little Rock, passed away December 31, 2018. Loving memories are left to his sisters, Sharon Haynes of Little Rock and Vickie Thomas of Pittsburgh, Pennsylvania, and his fiancé Kelly Kaber also of Little Rock. Danny was preceded in death by his parents, Sybile and Wallace Hanes. Services will be held Sunday, January 6, 2019, at 2:00 P.M. the Westbrook Funeral Home Chapel in Hazen, Arkansas. Visitation will be from 1:00 to 2:00 P.M. prior to the services.